Discussions about the relationship between science and religion usually end in a stalemate: Scientists accuse religionists of relying too much on faith, which they say is experimentally unverifiable, while religionists accuse scientists of relying too much on physical and chemical laws, which they say fail to measure the emotions and sentiments of a conscious living entity. The scientists fail to address or even acknowledge consciousness and its attendant needs; religionists fail to provide a satisfactory scientific and logical explanation for the practices they follow. The refusal of scientists to experiment beyond mechanistic science and the inability of religionists to present religion as a bonafide science have only widened the gap between the two parties. A study of the Vedic scriptures, however, reveals that the true Vedic religion is not a matter of blind faith but is an actual science, verifiable by experiment. 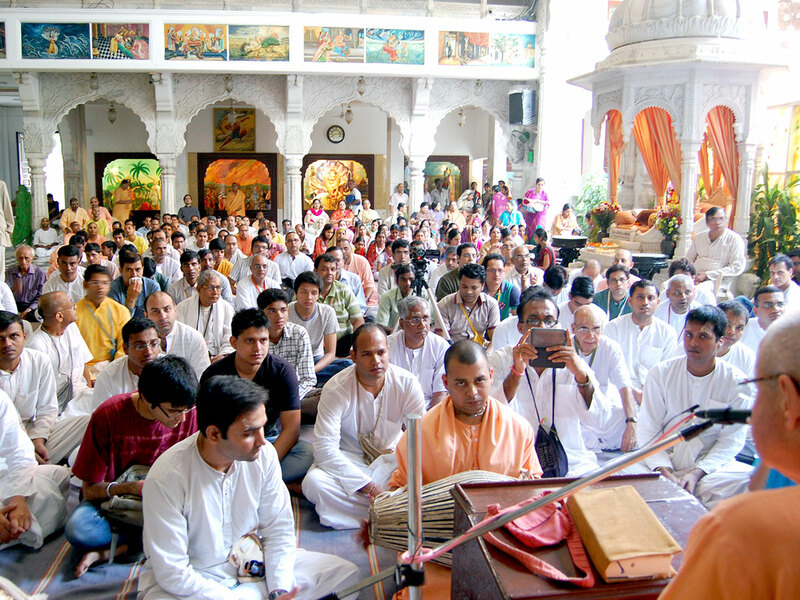 Unlike conventional religions, which force their practitioners to accept dogma on faith, the Vedic religion (also known as sanatana-dharma, bhagavata- dharma, or Krishna consciousness) repeatedly prods its students to inquire and question at every step. Sentimental practice is never encouraged. While other religions teach us to love and serve God, the beauty of the Vedic scriptures lies in their ability to explain the dynamics of this spiritual relationship by revealing the precise, well-defined principles that underlie it. A deeper understanding of this subject will nourish the faith of the faithful and satisfy the intellect of the intellectuals. Bhakti, or loving devotional service, is known as sri-krishnakarsini, “that which attracts Krishna.” Srila Bhaktivinoda Thakura writes in Jaiva-dharma, “The devotee whose heart is infused with suddha-bhakti [pure devotion] attracts the attention of Krishna along with that of all His close associates by the power of his love. Love is the only way to conquer Sri Krishna; no other means are viable.” By the power of his devotion, Prahlada, although a five-year-old boy, could attract the Supreme Lord Narsimhadeva, who appeared just to protect His dear devotee. Between a magnet and iron, it is the magnet that has the power to attract, not the iron. But with bhakti, the devotee an infinitesimal spirit soul can attract the infinite, all-powerful Krishna. 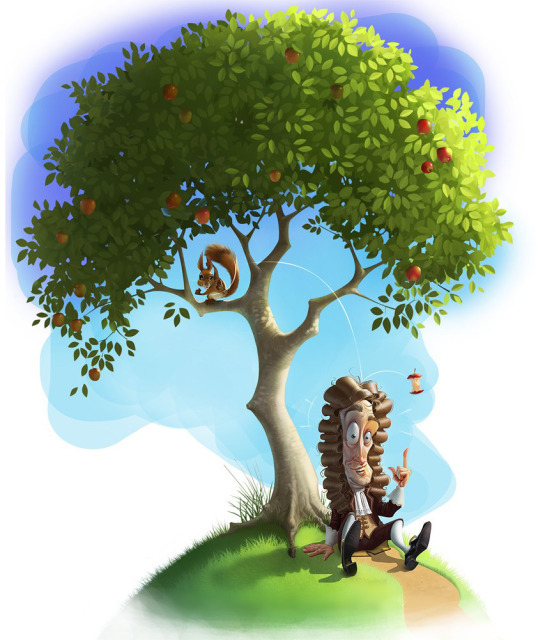 Like Newton’s third law of motion, the law of karma states that for every action there is a reaction. However, the karmic law an aspect of material nature, which is working under Krishna’s direction is universal; it does not act merely in the realms of physics or chemistry. Pious actions result in pleasurable reactions, while sinful actions lead to hellish sufferings. In the Bhagavad-gita (4.11), Krishna says, ye yatha mam prapadyante tams tathaiva bhajamy aham: “As all surrender unto Me, I reward them accordingly.” To those who consider God impersonal, He reveals Himself as the impersonal Brahman. To yogis who meditate on the form of the Lord within the heart, Krishna reveals Himself as the Paramatma, the Supersoul, who resides in the heart of every living being. But to those who accept Krishna as the Supreme Personality of Godhead, Krishna is eager to reveal His supreme form of sac-cidananda: His eternal personal form of full knowledge and bliss. The principle of reciprocation assumes extreme proportions when we offend great devotees or render service to them. The scriptures repeatedly warn us about the dangerous effects of Vaishnava aparadha, offense at the feet of an advanced soul. Lord Chaitanya Mahaprabhu described this as “the mad elephant offense,” which can uproot and destroy the tender devotional creeper we are struggling to cultivate. The best way to avoid this is to always remain humble, expect no respect from anyone, and offer all respect to others. As the master of the universe, Krishna controls everything and everyone. But one who has bhakti can control Krishna by love. Bhaktiyoga therefore is superior to all other spiritual practices, like karmayoga, jñana-yoga, or astanga-yoga. 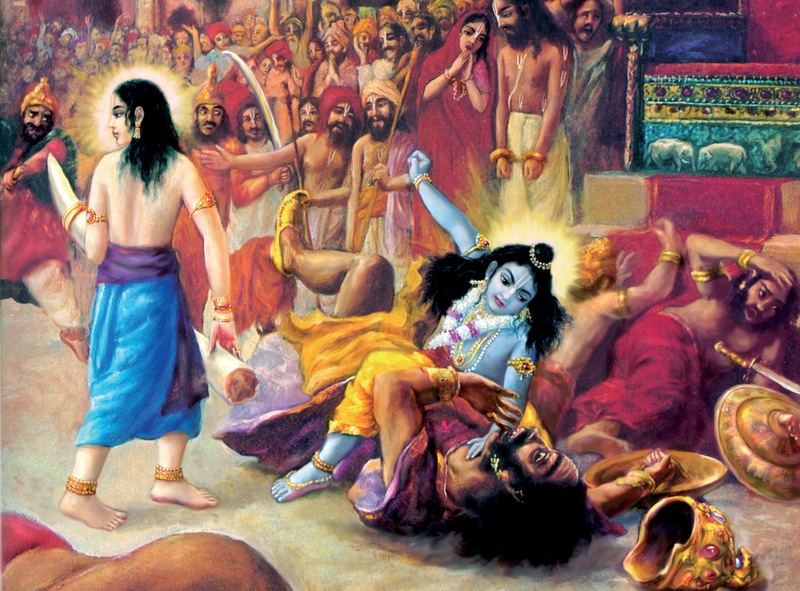 Only after being forgiven by His devotee, the Lord assured, would Durvasa stop being chased by the cakra. 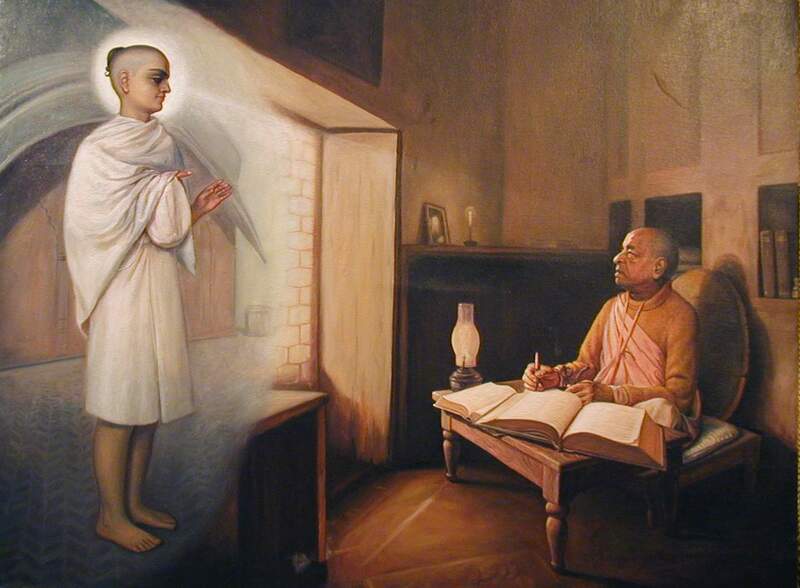 Rupa Goswami, a sixteenth-century Vaishnava saint and a direct disciple of Chaitanya Mahaprabhu, describes the systematic developments a devotee undergoes while practicing the science of bhakti. In the beginning one has faith (shraddha) in some form of divinity or in saints or scriptures. This faith, which is compared to a seed, helps one seek out the association of saintly devotees (sadhu sanga), where the seed sprouts and takes root as a creeper. Receiving nourishment in the form of hearing and chanting the holy names and glories of Krishna (bhajana-kriya) under the guidance of devotees, the creeper grows luxuriantly. In the process, all the unwanted things in the heart that block the progress of bhakti go away (anartha-nivrtti), clearing the path for the creeper. Carefully cultivating spiritual practices and steering clear of all obstacles, the devotee achieves steadiness (nistha) in bhakti. At this stage the waves of love of Godhead first appear. As the spiritual practices continue, the devotee’s steadiness matures into intense taste (ruci) for devotional activities, removing all threats of the recurrence of unwanted habits. Such a person is known as an uttama-adhikari. Mukundamala Dasa is a member of the BTG India editorial team.